Today was Ben and my first day in Kyoto, and it was a wonderful day. It was rainy, but warm, and a lovely day to tour the city. We made today an easy day, as we know tomorrow, New Years Eve will be fairly exhausting. Our first destination in Kyoto was the Silver Pavilion. 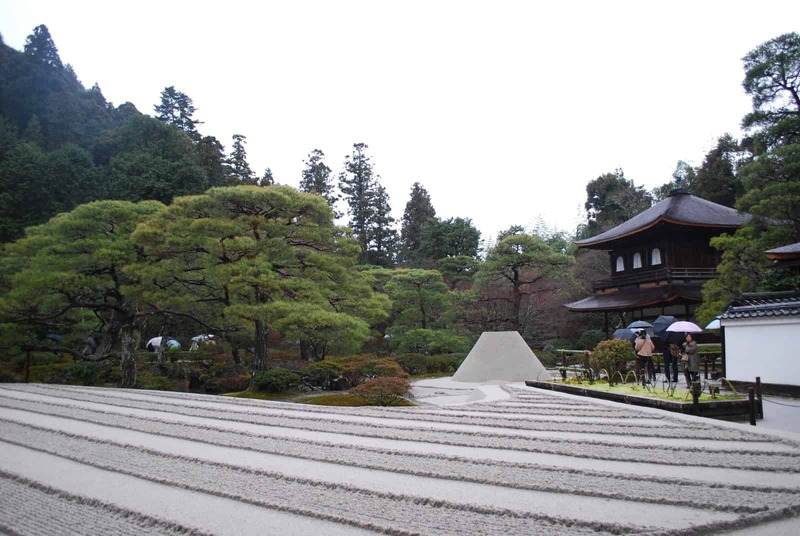 A temple surrounded in a profoundly beautiful zen garden. Wooded grounds have been guided by human hands to form something beyond the capabilities of either man or nature. Stepping into the grounds of the temple washed away all thoughts from the outside world, these grounds were a place to be at peace. After wandering the ground for a while, Ben and I headed to Kyoto station. Kyoto station is the perfect combination of modern and classical Japanese aesthetics. We spent 4 hours wandering through the station, time well spent. We started in the Porta underground mall, an upbeat mall, with interesting works of art scattered throughout. We were a bit tired from walking all day, so we treated ourselves to some Starbucks coffee. We wandered through a shopping mall called the Cube, which sold amazing looking omiyage (food souvenirs). The artistry Japanese put into their food is such a treat. Our favorite part of Kyoto were the covered outdoor walk ways. They offered a perfect romantic area to walk and wander on a romantic date. Couples held hands in the station, which made Ben and I giddy, as we are not allowed to hold hands in Uenohara (we got in big trouble for that once). We held hands, and let the romance of the glittering lights fill our hearts with joy. We talked about the cheesy dates we use to have, and reminded ourselves how lucky we were to be here – in love – in Japan. It was a very romantic evening, and the perfect kickoff for our Kyoto Honeymoon. FYI. It is not a Chrismas tree. 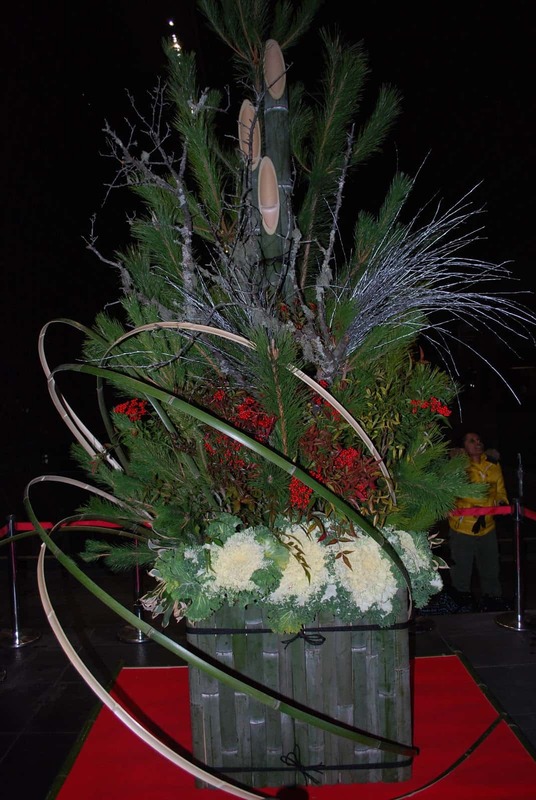 It's called "Kadomatsu" (門松,literally pine gate) and is placed in Japan in pairs in front of houses or buildings around a New Years to welcome ancestral spirits. Thank you for letting me know! They are beautiful, I will correct this as soon as I get back to my computer.